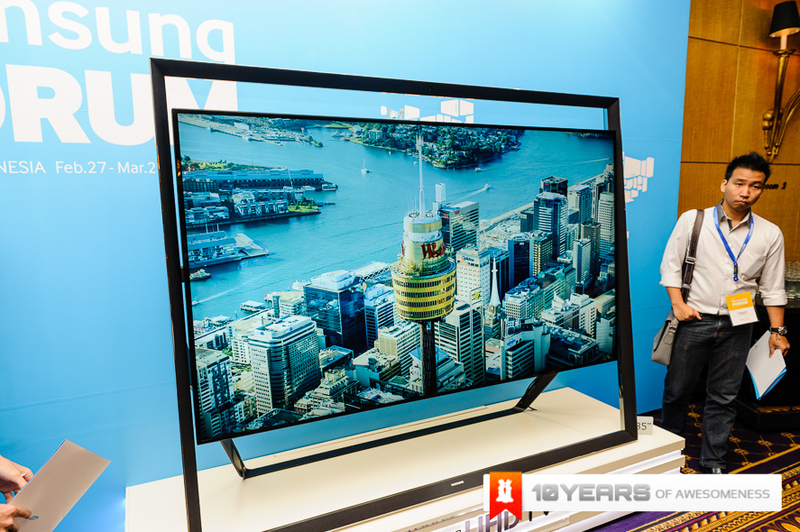 Called the “Timeless Gallery Design”, the new Samsung UHD TV 85S9 looks like its suspended within the frame. Usually you’ll be skeptical with overly fluffy descriptors, but in this instance, the S9 is indeed a thing of beauty and a potential object of gadget lust. The S9 is an 85inch beast that supports 4K resolution, letting consumers enjoy the best resolution available out there. The S9 also features Samsung’s proprietary up-scaling engine that can convert HD to 4k resolution by restoring detail information to create greater precision to real life picture quality. On top of a great visual experience the S9 features an immersive audio one with a 120W array built right into the frame of the television. No word on the price but murmurs around the conference have priced it around the high 5 figures in RM. The UHD TV 85S9 goes on sale in May 2013, plenty of time to start saving, right?